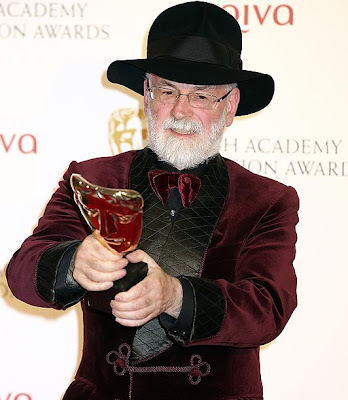 Fantasy novelist Terry Pratchett has won a Bafta for his ‘documentary’ ‘Choosing To Die’, in which he followed a man with motor neurone disease to Switzerland in order to film him killing himself at the Dignitas facility. The man’s wife, who was clearly very uncomfortable about the whole event, but went along with it out of deference to her husband, was prevented from comforting him as he died by one of the facility staff. The film generated a huge number of complaints to the BBC. At a recent meeting where I was speaking a woman told me that she had always supported assisted suicide before seeing the film, but that watching it had caused her to change her mind. She now strongly opposes a change in the law. Pratchett is one of the celebrity Patrons of Dignity in Dying, the former Voluntary Euthanasia Society, and helped to finance the discredited Falconer Commission into assisted suicide, which was itself conceived by the pressure group. I have blogged previously about the BBC acting as a cheerleader for euthanasia by supporting films like this and also the dangers of suicide contagion, or the Werther effect, following such depictions. In another blog I have listed the twenty things that the Pratchett ‘documentary’ did not tell us about euthanasia in Europe. Firstly, it wouldn't have been down to her, it wasn't her life to decide to continue or to end, she must have realised this and also realised that despite everything she wanted to support her dying husband with his last wish, however you try and twist it so that its distasteful. Secondly, why do you suppose that they wont allow anyone with the dying person where they could interfere with the medication? Could it be to ensure that the right person is helped to die and that there aren't any mistakes? It seems you are highlighting how careful they really are without realising you are doing so. Finally, as I have said before on your blog, the only person who should have the right over life and death of any person is that person themselves. Our law doesn't allow this and its clearly outdated. Autonomy is not absolute. The reason we have laws is that even in a free society there are limits to choice. We cannot always do what we might desperately want to do. This programme powerfully revealed the plight of the vulnerable assister. A strong determined person effectively says to his loved one, 'If you love me you will help me kill myself'. This places people under enormous pressure to comply. Currently the law offers some protection to such people who can say 'I can't help you. It is against the law'. But the law also protects vulnerable sick, elderly and disabled people who would feel pressure, whether real or imagined, to 'choose' early death so as not to be a burden to others. There are people who have something to gain, either emotionally or financially, from the death of another person and might be exerting subtle pressure. No man is an island. Our lives are not our own. We live in a complex web of relationships where the decisions we make have profound effects on others. There are limits to choice. With respect to the medication, he had already taken it and was dying, but she was barred from holding him. 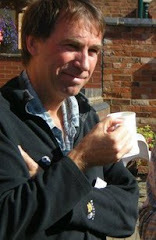 He died in the arms of the stranger who had helped him kill himself whilst his wife sat awkwardly on the sidelines. What you never address or even acknowledge, Peter, is the undeniable FACT that voluntary euthanasia extends life. Deny choice to individuals and they will invariably take their lives sooner, like the ALS patient Sue Rodriguez, who had to die before she lost the ability to use her fingers.